When Dr. Georges Moutte is found mudrered, investigator Antoine Verlaque is stumped. Certainly the director of theology at the Université d’Aix had his enemies. Moutte was just about to name the recipient of an elite fellowship as well as his own successor—a highly coveted position—when his lips were sealed permanently. But Verlaque isn't convinced that anyone in the tiny community of academics is capable of murder. Aided by his on-again, off-again girlfriend, law professor Marine Bonnet, Berlaque must turn Provence upside down, uncovering a world far more complicated than university politics, to find the killer before it’s too late. 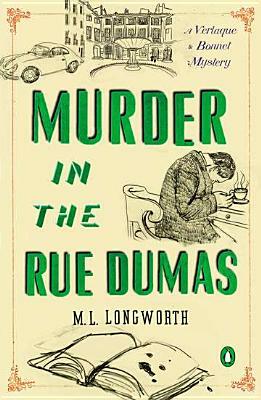 A page-turning mystery that transports you to the south of France with its lush portrait of a charming historic town, this continuation of the Provençal Mystery series captivates.